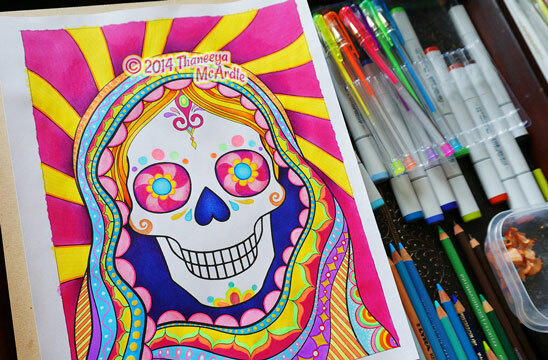 My Day of the Dead Coloring Book offers hours of fun creative art activities for kids, teens and adults! 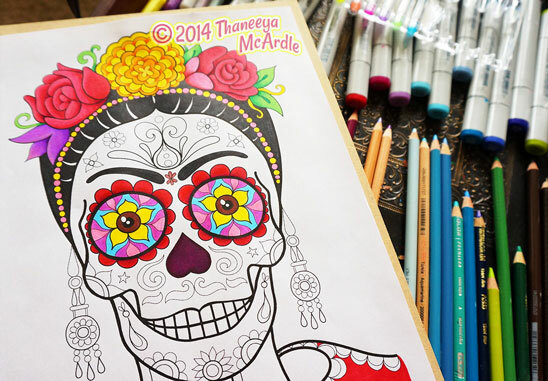 Packed with 30 original coloring pages based on the iconography of the Mexico's famous holiday, Día de Muertos, this coloring book invites you to play with color, pattern and design. 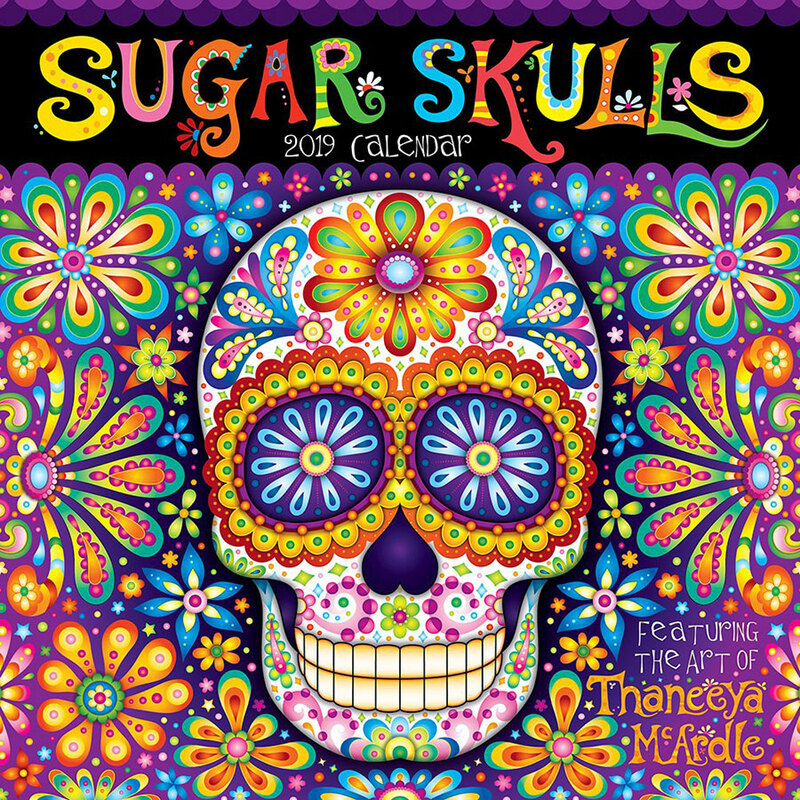 From smiling sugar skulls to dancing skeletons, this coloring book contains images inspired by Mexican culture. You'll find my contemporary interpretation of traditional Mexican folk art such as 'nichos' and 'papel picado' designed with a Day of the Dead theme. Each page is full of intricate details and psychedelic patterns, designed to spark your imagination and provide hours of coloring fun. There's also room for you to spice up each page with your own patterns and details! As a fun bonus, the coloring book also contains several pages describing various coloring and patterning techniques, to help show you the possibilities for personalizing each page. Get inspired by nine of my colored examples, which are reproduced at nearly full-size, and flip to the inside back cover to see what media I used. 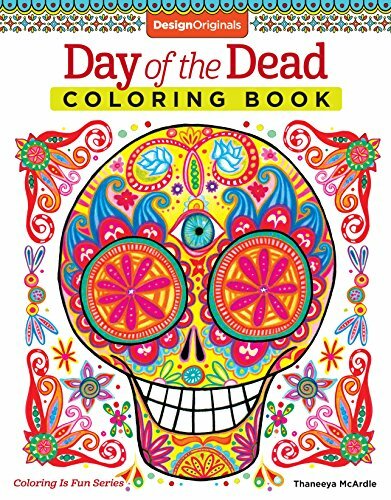 My Day of the Dead Coloring Book is printed on high-quality extra-thick paper that can be used with markers, colored pencils, gel pens or watercolors. I personally love to combine markers and colored pencils, along with glittery gel pens for fun accents! The Day of the Dead Coloring Book can be purchased in stores or online from major booksellers like Amazon and Barnes and Noble. If you're not in the United States, you can get it on Book Depository where they offer free worldwide delivery! 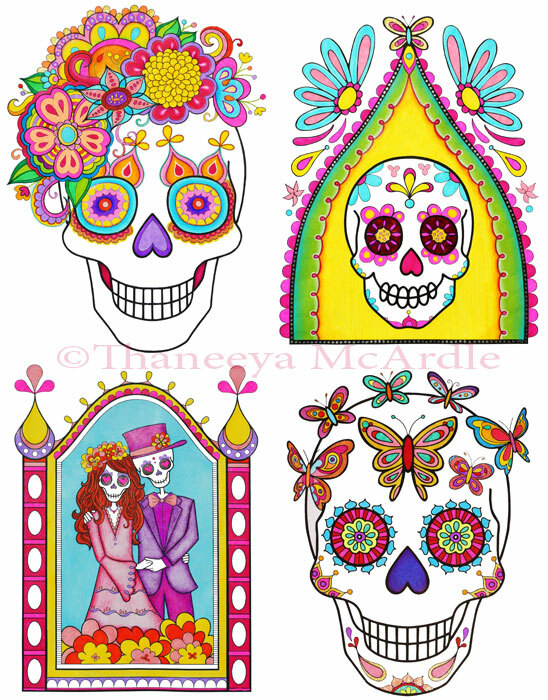 This Day of the Dead Coloring Book is part of a series of coloring books I created for Fox Chapel Publishing. 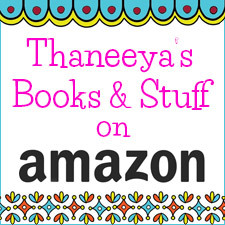 Visit my Amazon Author page to see all of the titles!